The end of summer is near. And what better way to make the most of it than going on a road trip with the best car camping tent? Have you heard of car camping before? A lot of people haven’t. Not every type of car camping means you’re sleeping in the back of a camper van under string lights. Although that sounds very dreamy, we’re not gonna lie. We began searching for the best car camping tent and came across all sorts of types. Whatever kind of adventure you’re going on, we guarantee one of these picks will meet your needs. What Is a Car Camping Tent and How Is It Different? There are a few different types of car camping and car camping tents. 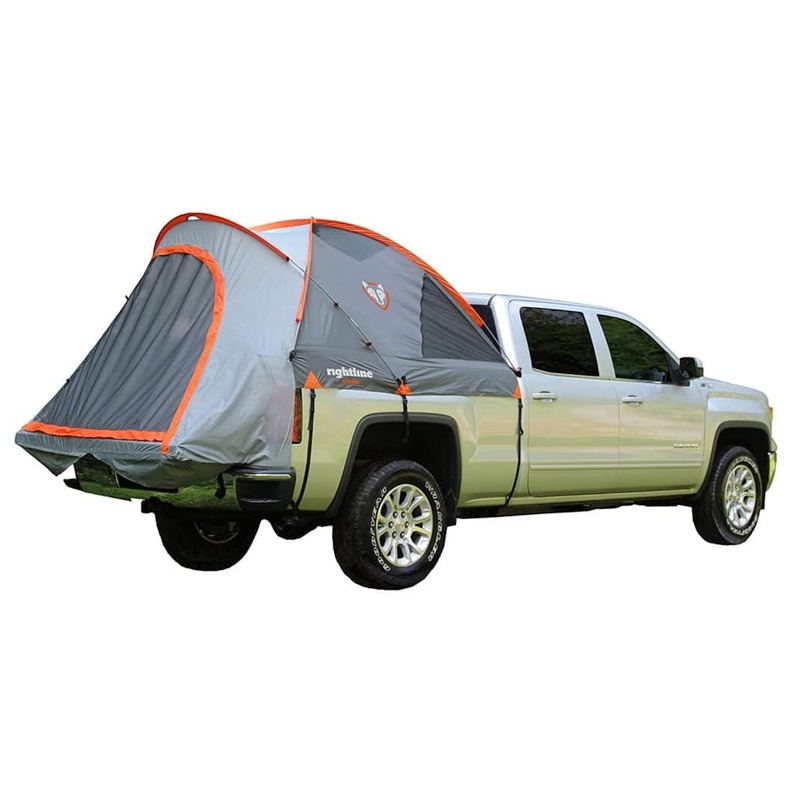 For those of you who don't know, car camping tents are specifically designed to fit in the cab of your truck or strap to the roof of your car. In addition, you can opt to pitch your tent pretty much anywhere. Are you wondering how to choose the best car camping tent? These questions will help you to narrow down your focus. Knowing your budget will be key to finding the best car camping tent. Whether you are looking for a small affordable tent or one for the whole family, knowing your budget will help narrow down your options. We suggest approaching this list with a price limit in mind. 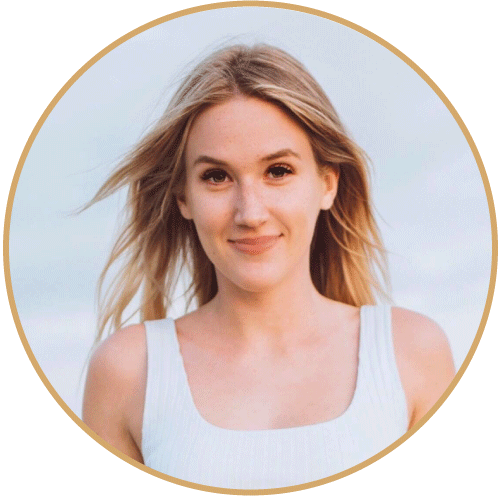 That way, you will be able to knock off all the items that are out of your price range much faster and, subsequently, locate the right tent that much faster as well. Do you already own a tent? If so, is it compatible with your vehicle? There is no sense in purchasing items similar to what you already own. Make sure the items you are investing in are compatible with your vehicle and work for where you are traveling. What’s cooler than an instant cabin? If you’re looking for the best car camping tent, you’ve found one here. 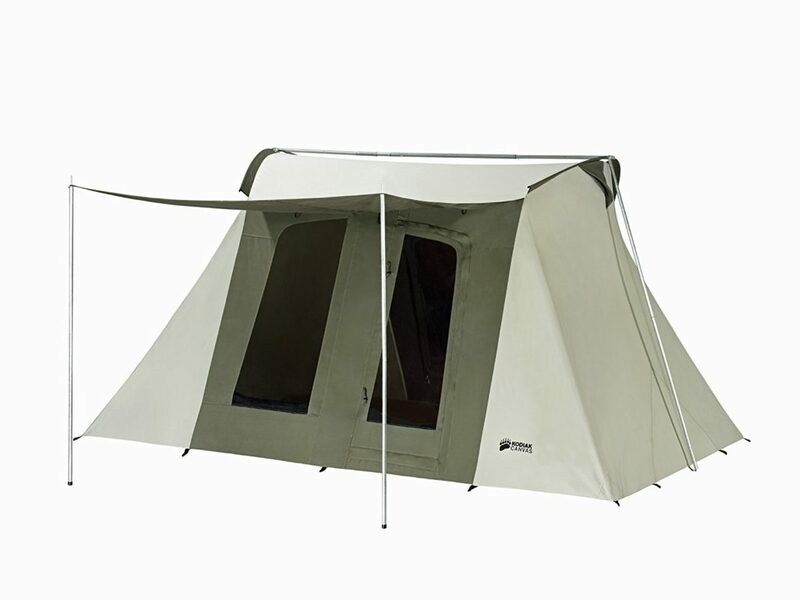 This pop up dark room tent from Coleman blocks out 90% of sunlight and reduces heat inside the tent. It’s perfect for the last summer heat. Better yet, it’s easy to throw in the back of your car and take on an adventure. While the ​Coleman 6-Person Instant Cabin doesn’t attach to a car or SUV truck, you can keep your gear inside your vehicle and camp right beside it. It stores so conveniently. When it’s time to head out on the road or move on to your next location, the tent packs up into an included expandable carrying bag. No matter where you’re headed, the WeatherTec System will keep you cool and dry. Even on rainy nights, the tib-like floors, patented corner welds, and covered seams help keep water out. The tent doesn’t take long to set up so when you see the dark clouds begin to roll in, you can get shelter quickly. Besides, even on the sunniest days, every minute of your outdoor adventure is precious. With preassembled poles, you can have your tent up and ready for use in just one minute. When it’s up and fully constructed, the tent measures 10 feet by 9 feet with a 6-foot center height. 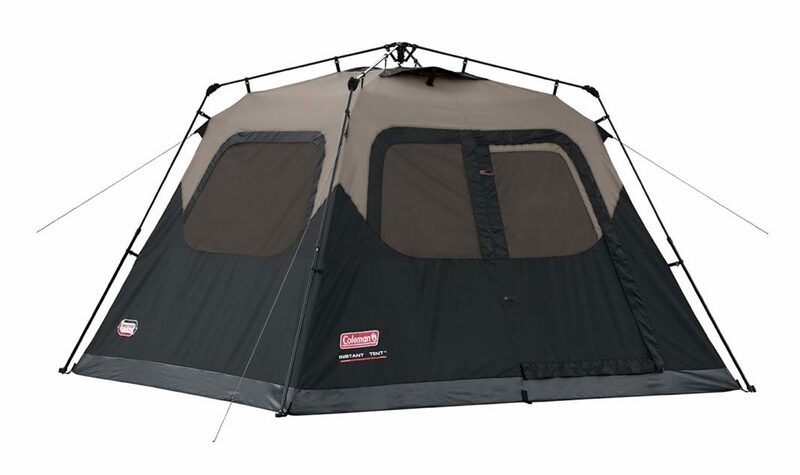 This large, rugged tent is perfect for all occasions. If you’re going on an outing with a group of friends or planning an end of summer vacation for the family, the Kodiak Canvas Flex-Bow offers the perfect fit. A right weaved fabric and silicone finish make the canvas watertight yet breathable, minimizing condensation and humidity. Even if you touch the inside walls during the pouring rain, the canvas won’t wick water. Even in less than ideal elements, the tent holds up well. The Flex-Bow frame has strong spring steel rods that keep it taut and one-inch steel poles that hold up even in the fiercest of winds. The floor of the tent is made from a seamless, strong, puncture resistant vinyl that keeps water out. Our favorite part though is how easy it is to set up. After you’ve staked it out, it only take a few minutes to finish from there. Steep walls and a six-foot-six tall ceiling provide a stand-up roomy interior, where you have enough space to walk around. The large front and back doors give convenient entry and exit access. Four windows and two vents provide ample air flow when needed. Each window and vent has the no-see-um screen mesh, keeping out even the tiniest of bugs. There’s also a customizable gear loft and organization system with plenty of places to stow away your gear. A large awning provides plenty of shade and a covered entryway. Last but not least, the Kodiak comes with a handy strap and cinch storage bag. There’s a reason why it’s a top contender for the best car camping tent. Designed in 1961, the Springbar Canvas Tent quickly became a favorite of families. Perfect for family campers, car campers, and hunters, it is an excellent replacement for heavy army and wall tents from back in the day. This could be the best car camping tent for your next adventure. Offering an ideal height and performance in harsh weather, it will keep you warm and comfy among the elements. A premium 100% quality cotton canvas fabric is finished to be water resistant in the rain. Special thread sewing techniques mean that the tent won’t wick water. Heavy duty poles, 12-inch stakes, and steel wire snake loops ensure that it will stay stable in high winds and all-season weather. These tents have a reputation for durability and a lifetime warranty that covers any potential anomalies in manufacturing. We all know Coleman as a brand we can count on. The Evanston screened tent offers nothing less than the exceptional quality Coleman’s reputation is staked on. This eight-person screened room tent offers plenty of space for the whole family to enjoy. Taking a look at the quality, it’s easy to see why we had to list it as a best car camping tent. The spacious interior allows for two queen-size airbeds and a six-foot-height means you won’t have to bend over when you’re looking through your bag. Convenient storage pockets sewed into the tent’s walls offer a way to keep small necessities within reach and off the floor. The screen room and window awnings add the perfect touches for comfort. Bug free lounging and ventilation makes it easy to relax and read before bed on a warm summer night. Window awnings let you keep the air flowing for enhanced circulation without letting in any rain. Inverted seams increase weather resistance in the tent. The Coleman Evanston was engineered to be stronger, with a wind-responsive frame, redesigned poles, and guy-out triangles to keep the tent anchored. Zipper cuffs from weather-resistant fabric add elements of protection to the door. Last but certainly not least, the tent has waterproof floors. Leave the old tarp at home. You won’t be needing it this time around or the next. There are few things as rewarding as traveling with your family and best friends. 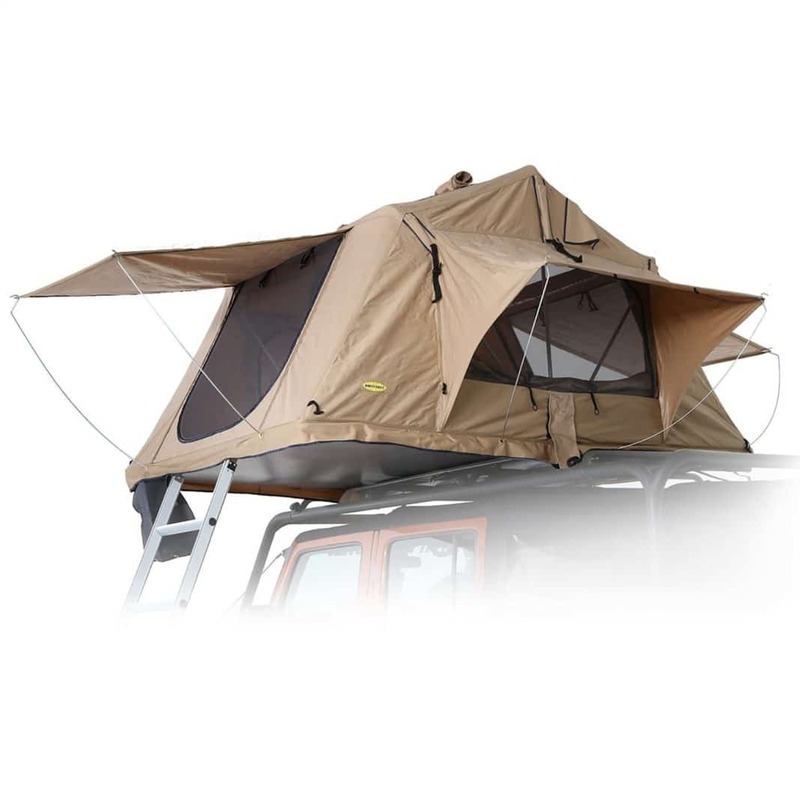 The ​Overlander Roof Top Tent attaches to the roof of your car and can be set up in just a few minutes. Experience elevated camping in a the Overlander style. If you’d like, there is the new annex that can be added to the bottom of the tent with rugged zippers. An optional annex also provides privacy and mosquito netting, so you will be sure to enjoy a great outdoors experience. The fabric is constructed from 600D heavy-duty ripstop polyester. And the 84-inch by 60-inch interior provides ample space for reading, changing clothes, and more. Thanks to strong tent frame poles and a telescoping anodized aluminum ladder, you can rest easy, knowing the tent is made for durability. When you’re ready to pack up and fold it away, a heavy duty PVC cover keeps them completely dry and you free from harmful UV rays. The PVC cover is sold separately. The best car camping tent can be set up in seconds. Kamp-Rite’s oversized single unit tent cot allows you to do just that. However, this isn’t your ordinary cot. Consider it a one-person tent. If you’re a solo traveler who loves getting off the grid, this will be your new go-to travel pick. Folding to 32 feet by 32 feet by 6 feet, it weighs only 25 pounds. A sturdy aluminum frame keeps you eleven inches above the ground, over rocks, bugs, and snakes. The tent top and rain fly will come in handy to handle nearly every kind of weather condition you could stumble upon. All of the tent cots from Kamp-rite come equipped with a ⅜-inch insulating foam pad. This cot is ideal for any car or camper outing. Do you have a fair amount of camping under your belt? If so, you know that sleeping on a cot inside of a roomy tent is more comfortable than roughing it on the ground. Well, now you can get the best of both worlds. This full-frame enclosed cot offers nylon sides, no-see-um mesh windows and doors to keep you safe and comfortable. Boom - there you have it, your personal tent. The cot is a full eleven inches above the ground. Not only will you sleep well, but you’ll sleep safe from rodents, snakes, and bugs. More importantly, the cot is roomy and comfortable to sleep on, with plenty of space to stretch out. Just like you would with a tent, toss your favorite sleeping bag in your cot and you’re ready for a great night’s sleep. 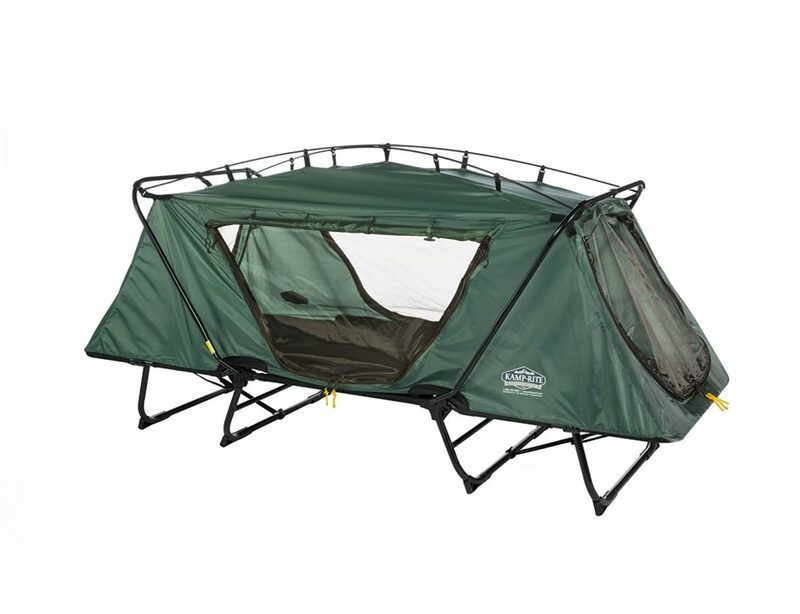 For an added bonus, you can also collapse the tent into a flat cot form. This lets you take full advantage of the sun’s warmth on a perfect afternoon. You can also convert your cot into a chair by tilting one end upward. The cot’s frame is composed of a lightweight, durable aluminum with nuts and bolts that won’t weaken over time. The tent portion of the cot is made from a durable nylon fabric, offering no-see-um doors and windows on every side. For ultimate ventilation, unzip the nylon outer doors and keep the no-see-um mesh interior doors closed. This 8-person family tent offers enough space to comfortably accommodate the whole family. You can even slip some cots or air mattresses in for a more comfortable night’s sleep. The family-size tent measures 15 feet by 9 feet with a 6-foot center height so you can comfortably stand and move around. Setting up is refreshingly easy. That’s what makes it another great candidate for the best car camping tent. After putting the poles together, simply slide them through the designated pockets, and lift them to stand the tent up. To make things even more simple, easy-to-follow assembly instructions are included. 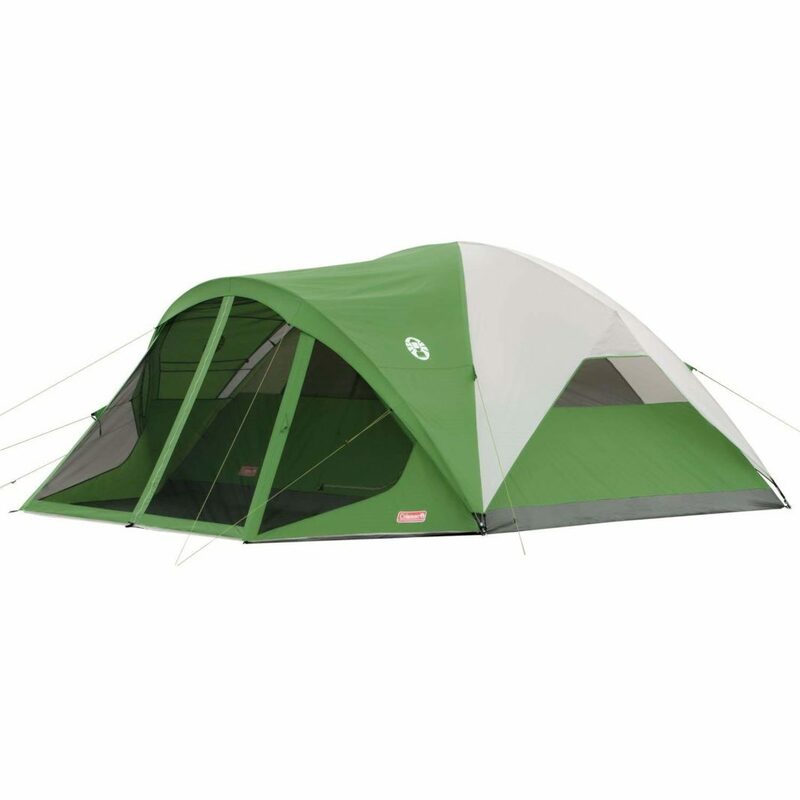 The tent also comes with strong carry bag and separate bags for storing the tent, poles, and stakes. It’s never been easier to stay organized on the road. Made to last, the AmazonBasics tent offers welding technology and coated polyester materials for ultimate weatherproof protection. While it’s not designed for extreme weather, it can be used in all seasons, standing up well in light wind and under medium showers. Leak proof floors, seams, and rainfly protection all help keep it grounded when the wind picks up. When it comes to temperature control and air ventilation, this tent provides air flow through an adjustable ventilation system. A gear net attached to the ceiling works well for holding small personal items like your keys, phone, and flashlight. Interior pockets provide added storage and easy access to your things. Do you have a pickup truck? Check and see if this gem from Rightline will fit your vehicle. If it does, you’ve just found the best car camping tent. Experience elevated camping from your dry truck bed above the ground without the hassle of tarps, stakes, and more. This floorless design allows you to set it up or take it down with ease. Outfitted with two gear pockets, a hanging lantern hook, glow in the dark zipper pulls, and a sky view vent, it has everything you need. Just make sure you measure the inside of your truck bed with the tailgate up. Now, the world is your campsite. 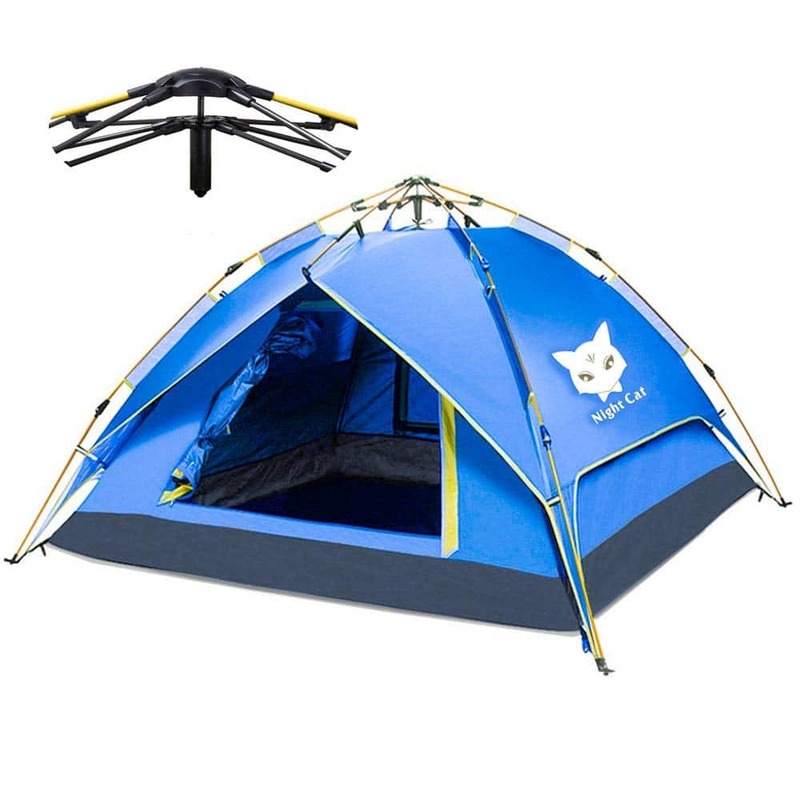 This automatic set up tent is ideal for backpackers. A spacious design allows it to accommodate a queen mattress or three sleeping bags. So, it can fit two adults and one to two children if needed. A hydraulic pressure mechanism makes it easy to pull up and set down automatically. You won’t have to do any heavy labor to get your tent ready. Even in the elements, the tent offers ways to stay warm and dry. The rain fly can be separated if needed for shelter or used for other activities. In addition, the Night Cat is waterproof and windproof. There are no needle holes found and it’s able to stay entirely stable and dry in the storms. 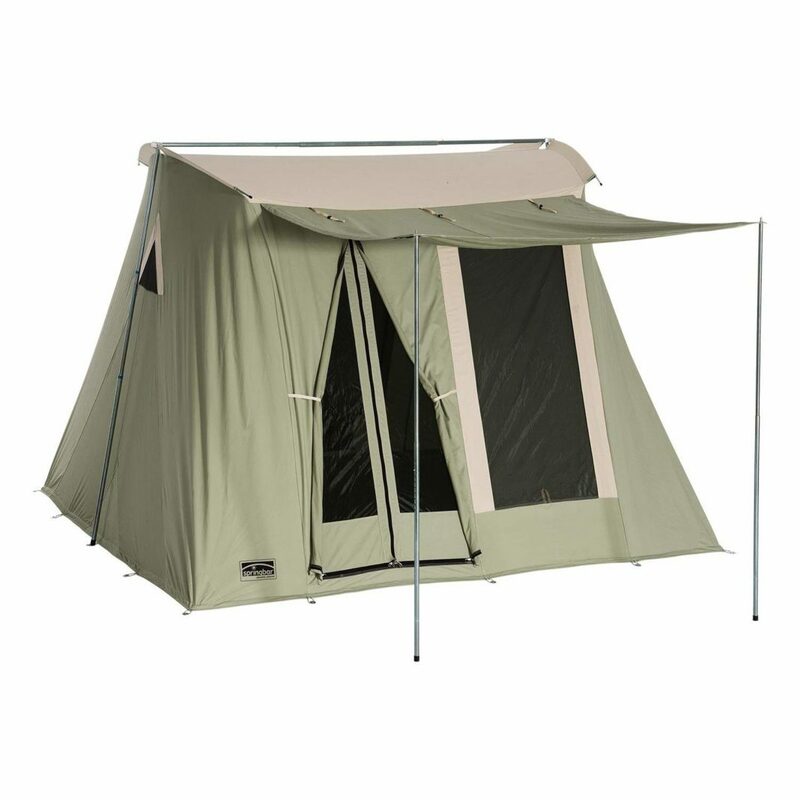 A door on each side allows easy access and exit from the tent and is also good for ventilation. We hope you enjoyed reading our feature on the best car camping tent selection. As you can see, there are various types of tents to meet your needs. 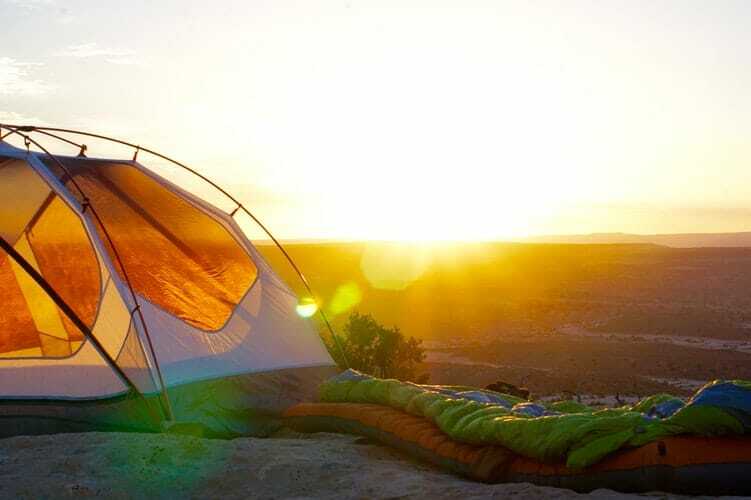 Whether you’re traveling solo, looking for something small and affordable, or a tent that can fit the whole family, you’ll find it on this list. All of the tents we included are durable, weatherproof, and easy to assemble.